Daughter of the late Clarence V. Dorrough and Eva Comer Dorrough, Mrs. McGuire was a Surgical Technician at Riverside Hospital in Newport News, VA from 1954 – 1961. She moved to Florida in 1966. Upon her return to Hampton in 1990, she was a “foster grandma” at the Hampton Y.M.C.A., and volunteered at the Careplex Sentara Hospital. She was preceded in death by her husband, Harry E. McGuire; twin infant sisters Mary and Margie Dorrough; sisters Evelyn Hall and June Hawk, and two brothers, Vernon S. Dorrough and Nelson Ray Dorrough. 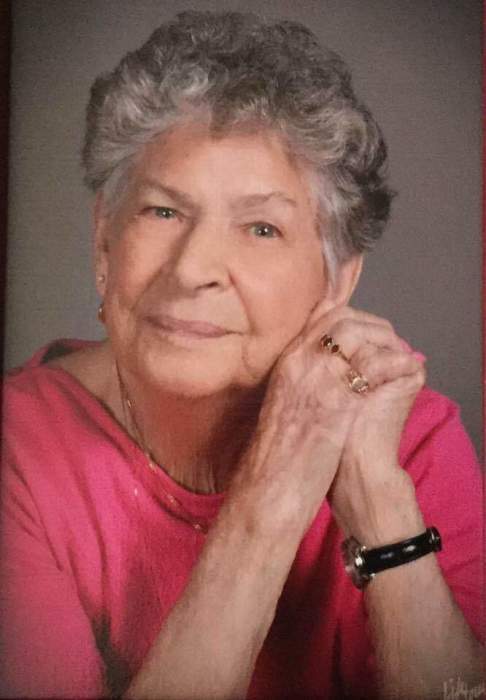 She is survived by a daughter, Joyce Follett and husband, Peter; and a son Clifton Rowe and wife, Belinda; she is also survived by seven grandchildren, 15 great-grandchildren, and one great-great grandchild. A memorial service will be held Saturday, January 26 at 1:00 PM at Claytor Rollins Funeral Home.